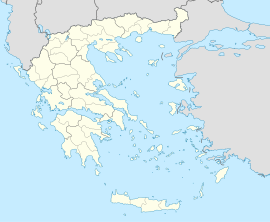 Pangaio (Greek: Παγγαίο) is a municipality in the Kavala regional unit, Greece, namit efter the Pangaion hills. The seat o the municipality is in Eleftheroupoli. The province o Pangaio (Greek: Επαρχία Παγγαίου) wis ane of the provinces o the Kavala Prefectur. It haed the same territory as the present municipality, except a pairt o the municipal unit Eleftheroupoli. It wis abolished in 2006. This page wis last eeditit on 5 Mairch 2018, at 00:54.